The importance of getting registrant details correct. Your domain name will be suspended if the registrant information is incorrect or unable to be validated. 1. An Individual: enter the full name as it would appear on a credit card, passport or the UK electoral roll. 2. A Business: enter the full legal trading name of the business. 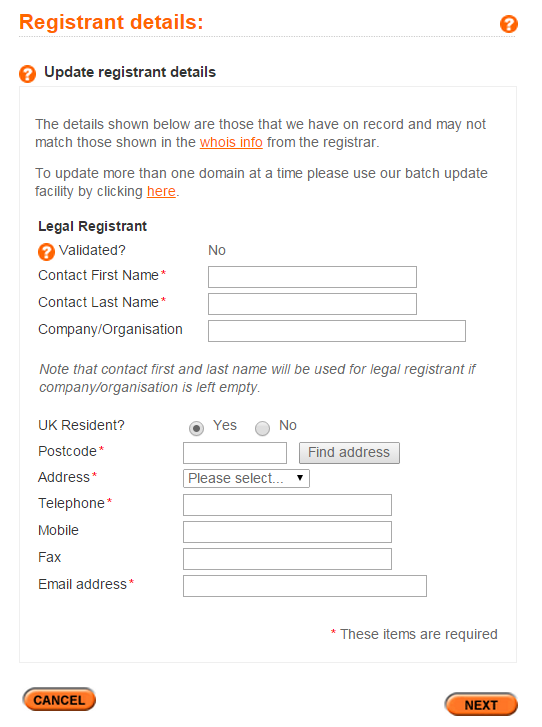 Limited and PLC companies can be verified against official company databases such as Companies House in the UK. 3. An Unregistered Business or Sole Trader: enter the name of an authorised individual or insert an individuals full name followed by t/a and then your Company Name. Should additional evidence be required, you will be prompted in your Online Control Panel to provide this. The process to update or change the legal registrant of a domain is dependent on the the suffix, and therefore, the Registry that the domain is registered with. From here, you can update the Legal Registrant of the domain name, as well as altering the address details. Once you have made all change, select Update. There is no charge to update this type of domain. This is a manual process which must be done with the help of our Domain Administration Specialists. 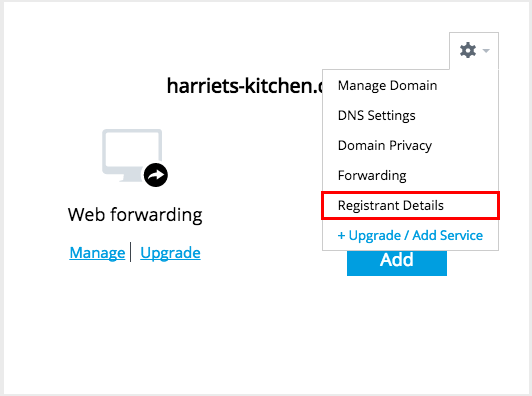 To begin the update process of an International domain name, please raise a support ticket through your Online Control Panel, selecting Domain Transfers as the department, and stating the domain name you would like to update. Once this has been received by our Domain Administration Specialists, they will advise what further information is needed.